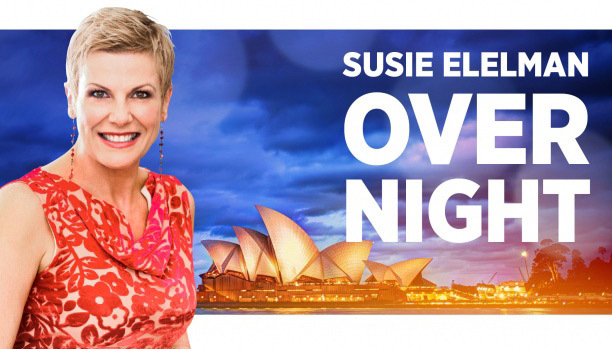 “Overnight With Susie Elelman” is an extremely popular radio show on Australia’s 2GB radio. In addition to the 100,000 listeners who tune in to listen in the early morning, the show’s podcast downloads exceed 4 million a month. Susie Elelman has interviewed stars like George Clooney, Hugh Jackman, Tom Cruise, and Nicole Kidman. And on Feb. 6, 2016, she featured a special segment on Shen Yun Performing Arts. SUSIE ELELMAN: This year, Australia’s eastern seaboard will once again play host to a series of performances by the world-renowned Shen Yun. For seven months of the year this spectacular show featuring over 200 performers travels to over 130 cities the world over showcasing 5,000 years of Chinese culture through dance, song, and elaborate costumes. It was established in New York in 2006, and by 2010, a mere four years later, over 1 million people had already seen the performance. 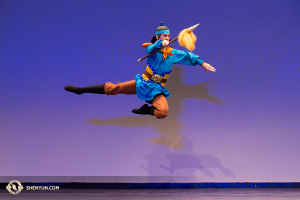 To tell us more, I welcome Shen Yun’s bilingual MC, Leeshai Lemish, whose been with the company since it began, and has hosted nearly a thousand shows. He’s currently in New Zealand performing with the troupe ahead of their Australian tour, and it gives me great delight to say good morning to Leeshai Lemish. LEESHAI LEMISH: Good morning Susie! ELELMAN: Good morning! Congratulations on such an incredible show. I know Australia is going to welcome it with open arms as they do every year. You have a bachelor’s degree in Chinese history—describe Shen Yun for me. LEMISH: Well, Shen Yun is more than just a show. It’s really a performance of classical Chinese dance and music that takes you on a journey—it’s a journey to another world, the world of ancient China. And through legends and stories and costumes and beautiful backdrops, this show brings this lost world back to life on stage. ELELMAN: You say “lost world” because it is a lost world now, isn’t it? Lemish: Yeah, it’s a world you can’t see anywhere else, not even in China. China has a history of 5,000 years of civilization, and it was a continuous civilization that was very well documented and very rich. And over the last 60-70 years, most of that has been destroyed in China, and really it’s outside of China where this tradition is being revived. Shen Yun is based in New York, it travels all over the world, and ironically you cannot see this performance in China, and it’s in places like Australia and New Zealand, and everywhere else, that it’s being celebrated. ELELMAN: Wow. In fact a lot of people who live in mainland China purposely travel overseas to see the show, don’t they? LEMISH: Absolutely, it’s fascinating. 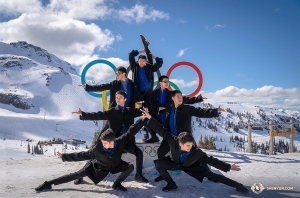 When we go to places like Taiwan, or perhaps Vancouver, Canada, San Francisco, there’s a large contingent of audience members from mainland China who flew over especially to see the performance—those who can afford to, obviously. And they really feel like they’re getting a glimpse of something that they can’t get back home. ELELMAN: They did ultimately gain permission to stage it in Hong Kong, but that’s actually never materialized, has it? LEMISH: Right, yeah, that was my group that was supposed to go. That was in 2010 and we had seven shows—they were all sold out—a lot of people were probably from mainland China who bought those tickets. And then they denied us visas at the last minute. ELELMAN: Oh, dear. Now, you’ve been involved for 10 years. Does the show change each year? LEMISH: Yeah, it’s a brand-new show every year. So, with 5,000 years of culture you never run out of stories to draw upon. LEMISH: Just like the Monkey King, which a lot of people in Australia I know are familiar with from the cartoon, it has 100 chapters, and you could draw any one of those chapters and make a really beautiful dance out of it—because classical Chinese dance is a very expressive art form. It’s very athletic, and the ability to represent any character—real or imaginary—and any emotion with great clarity is something that’s very unique to this art form. ELELMAN: Spectacularly, the costumes and the backdrops, I mean, visually, it’s just, you don’t know where to look on stage there’s so much happening. LEMISH: Right—and you have an orchestra that combines classical Western and Chinese instruments harmoniously, which is very rare. It’s the only orchestra in the world that combines these two very different instruments as its permanent members. And so you have that. You have the dancing. You have the beautiful backdrops. You have the costumes. There’s a lot going on and the show goes by very quickly. ELELMAN: Oh, I’ll bet. I think it runs about 2.5 hours, doesn’t it? LEMISH: With intermission, about that long, yeah. It’s made of little vignettes, each a few minutes long that takes you to a different dynasty, a different region, different legend, a different historical episode, and you get a glimpse of all of that. ELELMAN: It’s so exciting. And I know that tickets are selling fast. In fact, you haven’t got that many left for Melbourne at this stage. So that’s very exciting for you. 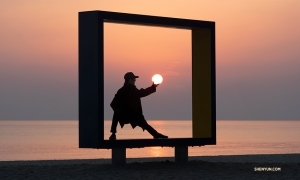 The whole show was founded by ex-pat Chinese Falun Gong practitioners. Now, can you tell us what is Falun Gong? LEMISH: Well, Falun Gong is also known as Falun Dafa. It’s a meditation practice—a spiritual meditation practice—that has roots in traditional Chinese culture and this idea of spiritual refinement, or self-cultivation. And you can see similar things in Buddhism and Taoism. And it became very popular in the 1990s in China. So popular, in fact, that by the end of the ‘90s, the Chinese Communist Party said: “There’s too many people doing this, more than Communist Party members. We’re going to ban it.” And they expected people to say, “Okay, it’s banned, we’ll do something else.” But what happened was the opposite. These people said, “No. This has been such a benefit to our lives both mentally-emotionally and physically. We’re not going to just give it up.” And through very peaceful, nonviolent resistance they’ve kept practicing. And, to this day. It’s become a huge human rights issue in China. But it’s also a very inspiring story and it’s something that we’re very happy to also talk about during the show, and we have a depiction of this through the beautiful art form of classical Chinese dance. And it’s one of the pieces that I think really leaves a strong impression on people and inspires people with this new sense of hope. ELELMAN: So the Chinese government is worried about Falun Gong because it is a meditation practice. What, are they worried that there’s going to be such big numbers that they’re going to overthrow the government? LEMISH: Right, you’d think there would be better things to worry about than people meditating in a park, which is all these people really wanted to do. And it’s important to point out the distinction that it wasn’t really the entire government, but it was a small number of people, especially the former leader Jiang Zemin and some people close to him who really saw this as a target and, perhaps, as an opportunity to gain, consolidate power for themselves. And they thought this would be an easy group to target. And I think, really, from their perspective, Falun Gong is also a representation of traditional Chinese culture and the spirituality of that culture. And this is a culture they spent six, seven decades trying to destroy. You think back to the ‘60s and ‘70s, campaigns like the Cultural Revolution, burning books, destroying temples, and making monks and nuns marry and all of this… And that has gone and continued in one form or another till today with Falun Gong and other campaigns. ELELMAN: We have a lot of people here in Australia who protest openly about what the Chinese government is doing to Falun Gong. But what we’re hearing here, and please correct me if I’m wrong, but that Falun Gong members have been targeted to have their organs stolen. ELELMAN: No, no, it’s not happening in Australia, but people are protesting in Australia that this is what’s happening in China to their members. LEMISH: Absolutely, and there’s so much evidence to this, it’s no more a question of is it happening or has it happened, but it’s more a question of what are the numbers—are we talking thousands? Are we talking tens of thousands? Hundreds of thousands? Because these people were sent to labor camps and to prisons often without any judiciary process and they disappeared. They have no names. There’s no record. And yet they’re healthy. And with the shortage of healthy organs around the world, and especially in China, without a clear donation system and not a database of where these organs are coming from, these became basically reverse-on-demand organ harvesting prospects. You could have an official who needs an organ, and they go to a labor camp and do blood-type and tissue-type the prisoners of conscience. These are not hardened criminals—these are people arrested for meditating—and they find the matching type, and when the organ is needed, then, that’s it. And we’re not talking about kidneys—hearts and livers that we only have one of. That’s not something that’s so much directly related to Shen Yun, of course, but if you look at the bigger picture of what is happening in China, that is definitely a big part of it. ELELMAN: My goodness me. And, with getting back to the show, what do you hope people will come away with, when they go and see Shen Yun? LEMISH: We hope, I think, that people will be inspired. That they will find a new sense of hope, or a different form of hope through the performance. 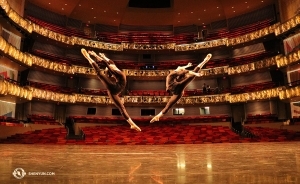 Because even though it is Chinese culture and it is a Chinese art form, there’s something so universal about the values and the ideas being represented and about dance and music in general that everybody can connect to it. And I think that’s what really we find wherever we go—it might be here, it might be in Japan or in France—that people really have very similar reactions. They identify with the ideas being represented, and they leave the performance inspired and energized. ELELMAN: Lovely! As well as being totally and utterly entertained from start to finish. LEMISH: We hope so! That’s what we try to do. ELELMAN: I’m sure it will happen! It’s lovely to talk with you—thank you for your time. I’m sorry to get you at such an ungodly hour (3am) but we do appreciate it. And I hope the shows are going well in New Zealand—are they? LEMISH: So far so good! Yeah, thank you so much Susie! ELELMAN: Oh, my pleasure! Thank you! 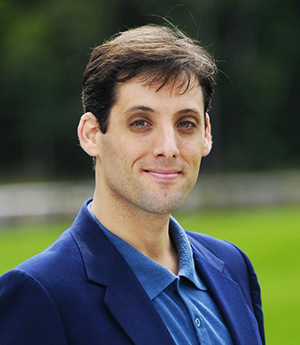 That’s Leeshai Lemish, he’s the bilingual MC for Shen Yun. Now the shows that start in Melbourne next Saturday the 20th, and then in Brisbane the 26th to the 28th of February. The Gold Coast is on the 4th and 5th of March, and in Sydney it goes through from the 8th through until the 13th of March. Now you’ll be thrilled to know that I have tickets to both of the Queensland shows and the Sydney show and we’ll be giving all of those away next week. And I’ll tell you how you can win those next week as well. 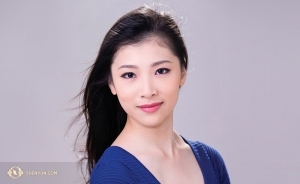 So that was Leeshai Lemish, the MC for Shen Yun. Tickets are selling fast. If you want to have a look on the net it’s S-h-e-n Y-u-n, is how you spell the show. And all the tickets are available through Ticketmaster, if you’re interested.